The Botulinum Toxin of plant origin rejuvenates the strand. Its formula possesses high technology silicones, keratin, grape seed oil, vitamin E and shea butter. The effect on hair is immediate: it reduces volume, dryness and split ends. The hair recovers its body and becomes visibly younger. It is Ideal for excessively damaged and chemically treated hair showing breakage and shedding. 1. Wash the hair with the Hydrating Shampoo 3 times. Remove excess moisture with the dryer and divide the hair into 4 sections. 2. Apply the Activator of Smooth Hair Rejuvenation wick by wick. Remove the excess product with a fine comb and leave for 60 minutes with a thermal cap. 3. Rinse with plenty of water and remove excess moisture with a towel. 4. Apply the Smart Reconstructor and comb. Leave on for 20-25 min. 5. Rinse. Finish with a drying and ironing in thin sectors. 1 Moisturizing Shampoo 33.8 oz. 1 Botulinum Active 33.8 oz. Este botox es muy bueno tengo 3 años con el en mi Studio, es para pelo fino y que se quiebre con facilidad. Es poderoso!!! los cabellos quedan suaves y muy saludables. El día que hago decoloración también aplico este tratamiento para que el cabello de mi cliente quede sano como si no tuviera procesos químicos. 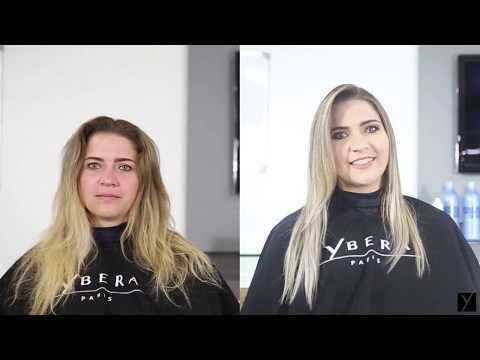 Como Profesional de mas de 20 años de experiencia este Tratamiento va de la mano con el color. Rejuvenece bastante el cabello, el brillo que deja es excelente!